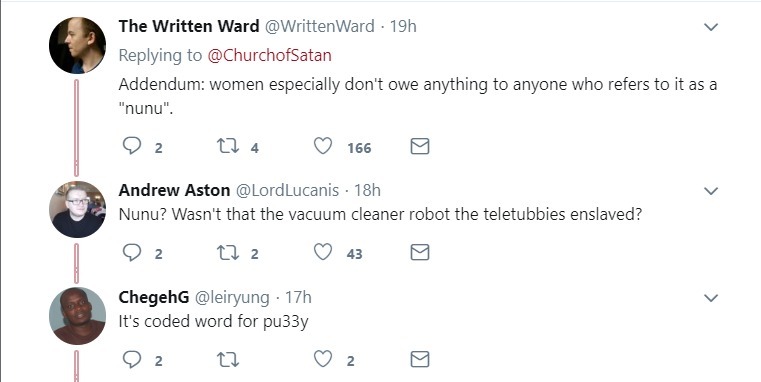 One of the most bizarre exchanges we have ever seen on Twitter. 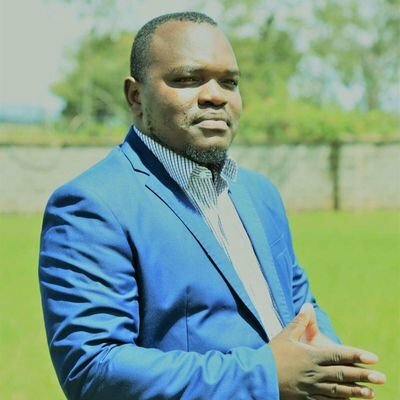 Upcoming blogger Abraham Mutai took time to call lady parts "nunu" and talk of how men give women money and believed that they are owed something in return. The Church of Satan on Twitter saw his tweet and blasted him, leaving him speechless. This outrage links to the gruesome murder of Ivy Wangechi who lost her life for denying affection to a stalker. Meanwhile, many Twitter users that are not Kenyans theorized over the meaning of "nunu"
"Nunu?" What are we, like five years old? @banshee_child what is a nunu? Now I want to receive some nunu. Is that what I think it is?